We are taking a few days away as a family over the half term holidays and I always like to pack a few activities that the girls can do while we are away in the evenings, or to break up the travel. This time I've packed My Giant Fairy Tale Activity Book. This bumper book is filled with over 100 activities including colouring, doodling challenges, puzzles and mazes. The book is split into four themed sections where all of the activities correspond to a well known fairy tale - Hansel and Gretel, The Three Little Pigs, The Princess and the Pea and Little Red Riding Hood. 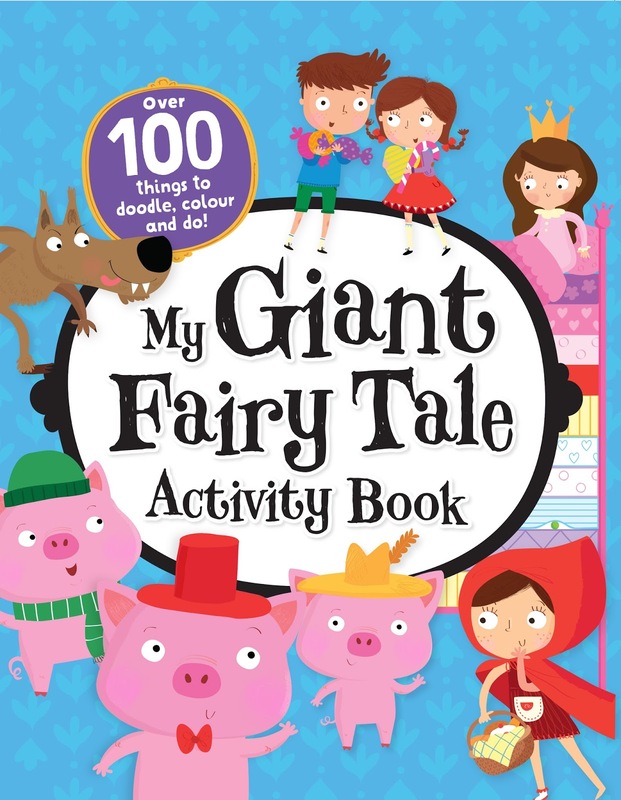 Because the stories are familiar, Lara finds this activity book really engaging - the fairy tale is the starting point for lots of different imaginative games and doodles that she can explore. Lara is very much into drawing at present but she is definitely someone who needs a prompt and do the little hints and challenges on each page are the trigger for her imagination to flow. On this page, for instance, your child is asked to find a tall princess, a pink princess, a sleepy princess etc. And then they are prompted to doodle more princesses dancing to the music, and draw tiaras on those princesses who have forgotten theirs! There are nearly 130 pages of activities in this book so I'm really hoping that it will last Lara for most of our half term holiday! I'd recommend the activities for children from around 4-8 years old. 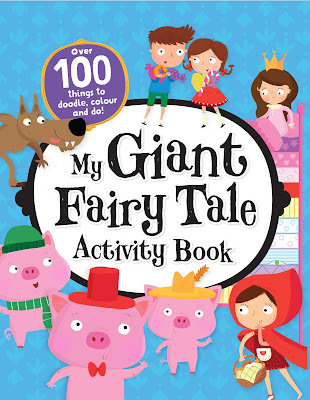 You can find out more about children's books such as My Giant Fairy Tale Activity Book if you follow Parragon Books on twitter and as @parragonbooks on instagram and pinterest.